I absolutely adore florals, they are graceful and feminine and I can’t see why they cannot be worn year-round. Summer is almost at an end but to me that doesn’t mean having to put away the flowers. There are a few more warm days left here in Melbourne where I am sure the sun will be shining and the sky will be blue. For those it will be perfect for summery white dresses. After that, bring the florals into the cooler weather by pairing them with rich burgundy, navy and black. Think a rose printed scarf with a black turtle neck or a pale floral skirt with a pinot noir top. Bring your beauty look into Autumn with deep berry lips and nails. The combinations are endless and just require some imagination. Alannah Hill has just released its 2016 Autumn/Winter collection and it is brimming with pretty petals. The look book has given me many ideas for the coming months and features the combos above. First is the stunning Honey and I Dress. It is fit and flare and embroidered with white and pink daisies. The style is also available in a cute sleeveless top and would look great with a pale pink cardigan thrown over the shoulders. This monochrome look is offset with flowers which gives it a dose of femininity. The pencil skirt works for all occasions and the high necked top is a winter staple. As mentioned, I would wear the top with black pants and a cute floral scarf, like the one pictured. The pink roses and white polka dots on the baby blue background are so pretty and would really lift and bring to life a dark outfit. Here is another floral skirt with gorgeous pinks and blues. It looks amazing with a berry coloured top, which brings the outfit a level of sophistication. This is a beautiful outfit for a night out and I adore the combination of colours. Hopefully these looks will inspire you to mix up the cool months with florals and inject some colour into winter. 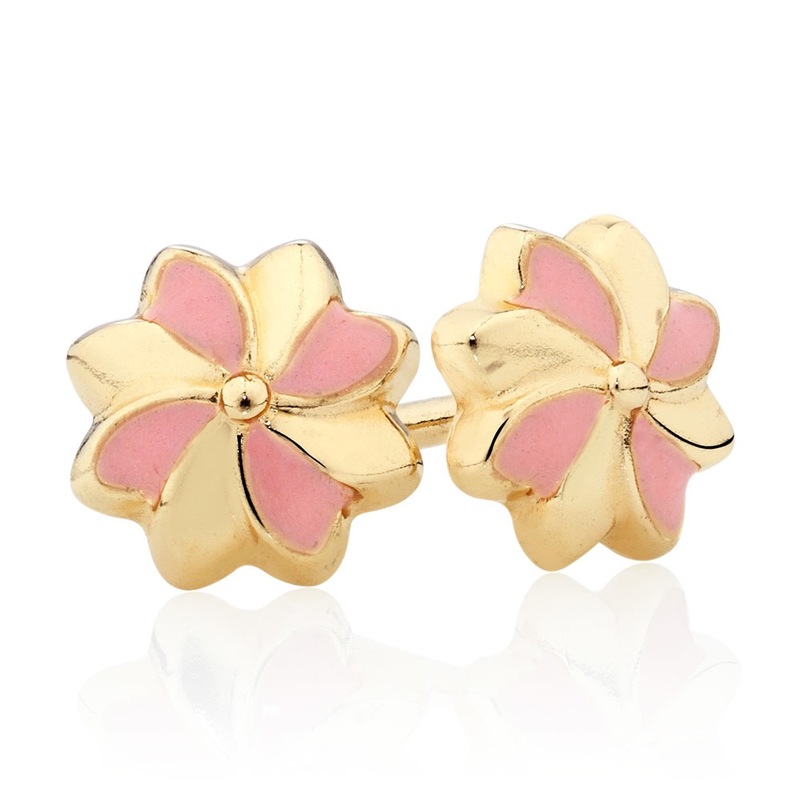 For an extra dose of flower power check out these stud earrings from Michael Hill. They are made from 10 karat gold and pink enamel and would look so pretty with any of the pieces above.